I wanted to learn Chinese, so why not Beijing? This is the story of Olympia, who came to Beijing with her younger sister, Fabiola, at the start of 2018. There stay with LTL totalled to six months where they would study Chinese from 8.30am to 5.30pm, with breaks in between. 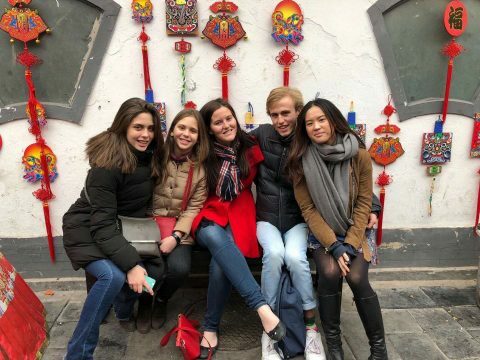 She tells her story covering the lessons at LTL, why her and her sister came to China, and what she thinks of Beijing. I do not remember it so well, but I think it was the story of the first emperor, told to me by my grandmother that inspired me to start learning Chinese. My name is Olympia, I am Spanish/Italian and I was living in Madrid until two months ago when I arrived in Beijing. I am staying in Beijing, along with my younger sister, at a Chinese homestay family for the rest of the four months that I have left. 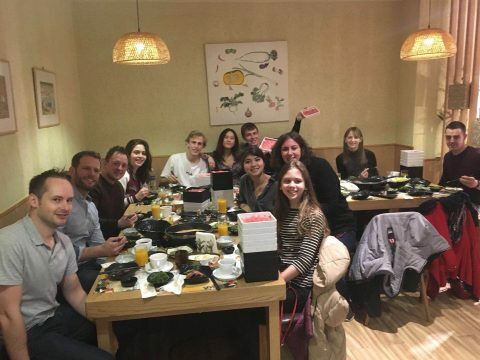 Learning Chinese as a teenager – Why? But no, I am not mad. Beijing is actually amongst the best places I have ever been! It all started when, in the taxi from the airport, you see the daily life and how China functions. The lady on the motorcycle carrying so many things. She isn’t even sitting on it! The cars not really following the driving rules, but in such a way that you realize that you feel completely safe, somehow. The skyscraper with a hutong right next to it. The grandiosity of the malls near a small street food stall. This is China. The school is on two small floors one on top of the other, which gives one the sensation of a house in which we are the family. During my first lunch at the LTL lunch club I was amazed, how in one small room, there were so many different people. Germany to Italy, Israel to America and Australia, all seated together with some very different interests but all of them hungry for the same end, to learn Chinese. Learning Chinese isn’t as impossible as many people think it is. The teachers at the school always make the class interesting! Even when you are going through you’re second hour of Chinese grammar. I have always loved the noodles or rice my mother back home would make. I used to think that that was heaven (I still do). However, here in China for less than four euros one can get a number off flavours that will make even the most picky peoples mouth’s water. Do not assume that they have just noodles and rice, with nothing else! When you have the choice between baozi (包子) and jiaozi (餃子) just get both! Oh, and I have never seen dog served at any table but I have seen and tried bamboo! What to do in Beijing on the weekend? At the weekends… well apart studying for a while, we just spent all day out (and there isn’t enough time)! This would involve exploring Beijing or just relaxing. Sometimes we go to the school social events with the school or we organize our own with our friends. Now at least, we do not get lost thanks to our improved Chinese (and iPhone). We really get to enjoy Beijing. Overall, the nature of Beijing gives you and unexpected attachment to the city. I will really miss it when I leave. 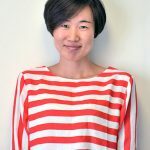 A huge thanks to Olympia for featuring in the LTL Mandarin Blog with her story. Stay tuned because we’ll have plenty more student stories coming in the near future. Don’t forget you can visit our other website pages which include reviews from other students who have been to LTL. We also have a review page where you can read about students experiences from Facebook, Tripadvisor and many more websites. 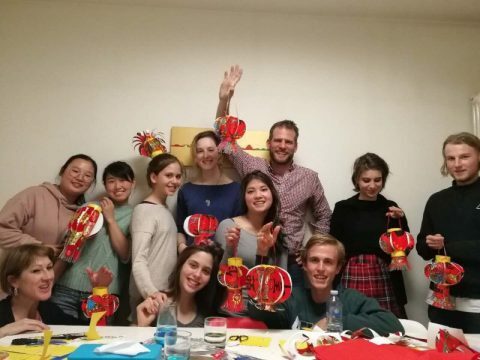 We want you to know, when you come and join LTL, you become part of a very tight knit family who all have one goal, to learn Chinese in China. Thanks Lyle, they certainly did and they are coming back for another spell this year!